This is the TRF503 4WD racing buggy. 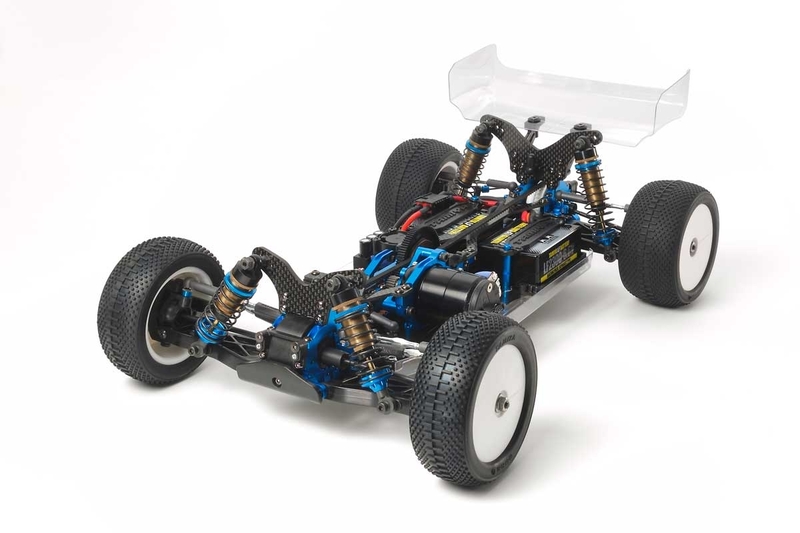 The 503 has been developed thanks to the Tamiya Racing Factory team putting its extensive race and testing experience to use for Tamiya’s racing enthusiast customers. The TRF503 off-road chassis is an updated and modified version of the TRF511 that promises to have more traction and improved cornering ability. Special Feature 1 Features a long-wheelbase lower deck. It is 7.5mm greater in length compared to the 511 for improved handling on uneven surfaces. Special Feature 2 The motor position has been shifted 10.5mm toward the front of the chassis to improve controllability, while the motor mount is 5mm closer to the centerline, which helps to reduce chassis roll. 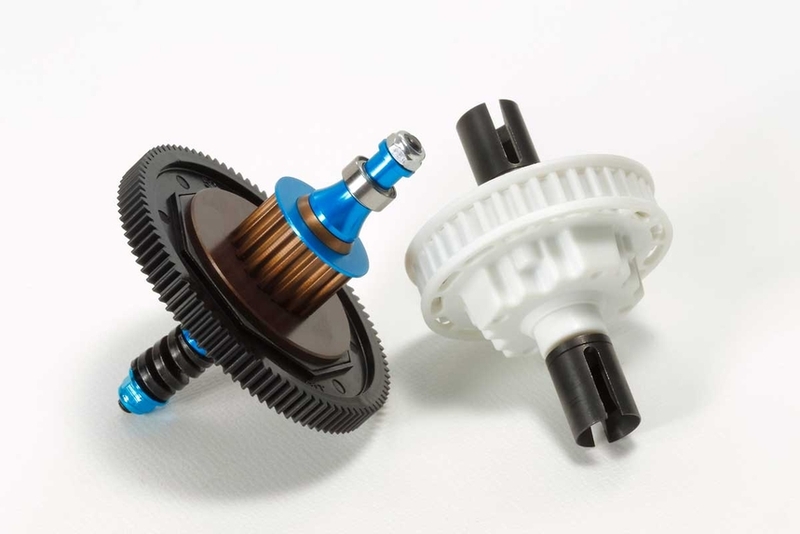 Special Feature 3 The ability to handle higher-power motors stems from the NEW single-piece aluminum center pulley. Special Feature 4 A weight reduction of up to 20% is achieved by using lightweight aluminum upper and lower bulkheads. 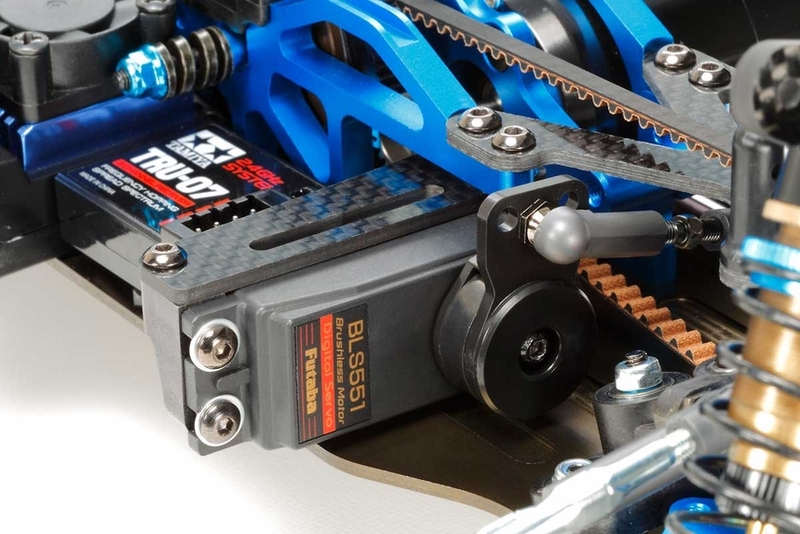 Special Feature 5 The aluminum suspension plate is angled at 14 degrees, which is nearly double that of the TRF511. Damper attachment positions have been raised 2mm on the front stay, for optimized front damper rebound. Special Feature 6 Universal shafts are secured with ring connectors. Special Feature 7 Includes 39T oil-filled gear differentials, big bore aeration dampers and a clear polycarbonate body.